NEW IN SHOP! Houses on Hills Flour Sack Towels. Click to buy. Thank you. Back in 2003 When we lived in sunny Florida I worked at a wonderful studio called Lure Design with some of the best dudes ever. They're coming up on their 20th anniversary so I'm poking around looking at old pictures of my time there. One of my very favorite projects ever was the annual book that we created as a gift for friends and clients. This particular book, Beatrice's Birthmark, was my favorite of all due in large part to the song that Steven Foxbury wrote and recorded for the project. We have always loved snow and dreamt of living somewhere snowy. This song is a perfect lullaby for today's snowfall. CITY OF BRIDGES TEES IN GREY - NOW AVAILABLE! Featuring Rachel Farmer, Kim Fox, Ariel Jackson, Luke Haynes, Carolina Rodriguez Meyer, Faith Ringgold, Jessica Skultety and images from the 1987 AIDS quilt exhibit in Washington, DC. Curated by Laura Petrovich-Cheney. The American quilt is typically a three-layered stitched textile, combined by the process of sewing the three layers together. 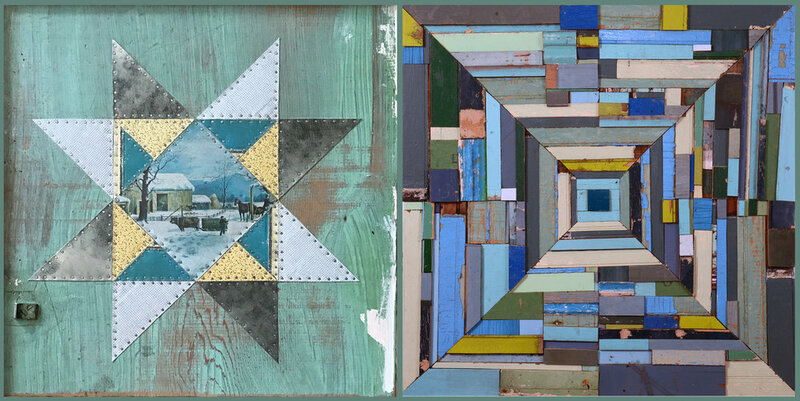 Quilts have long been considered utilitarian objects made to provide warmth for beds and sometimes they were used as to cover doors and windows that were not sealed enough to keep out the elements. Over time, quilts have transcended their function as bed coverings. 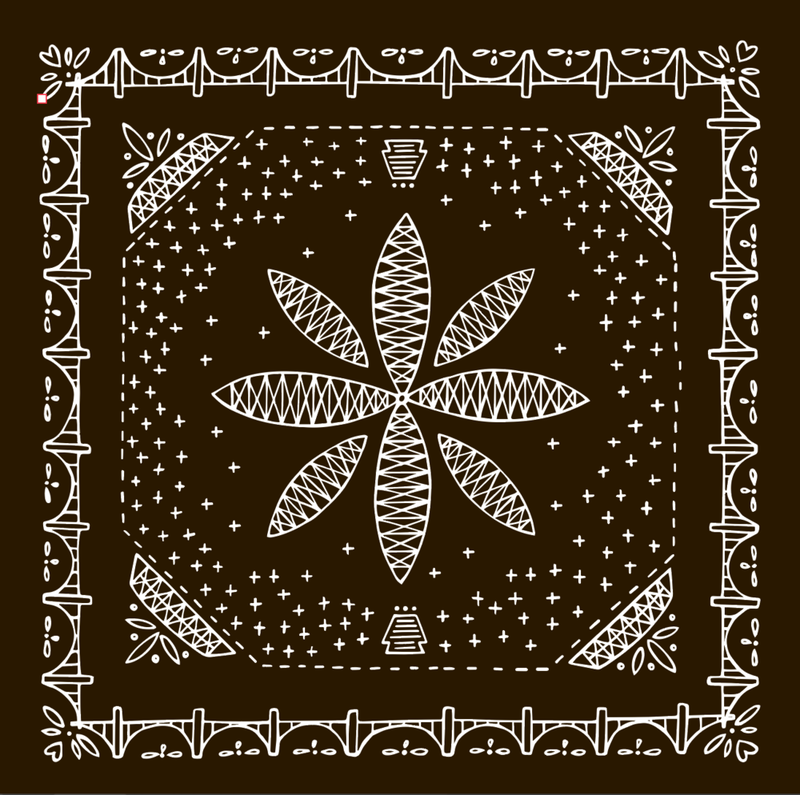 Quilts can be both craft and art, as well as a point of expression and cultural identity for the maker. The process of cutting and piecing together bits and pieces is part of the quilt narrative. 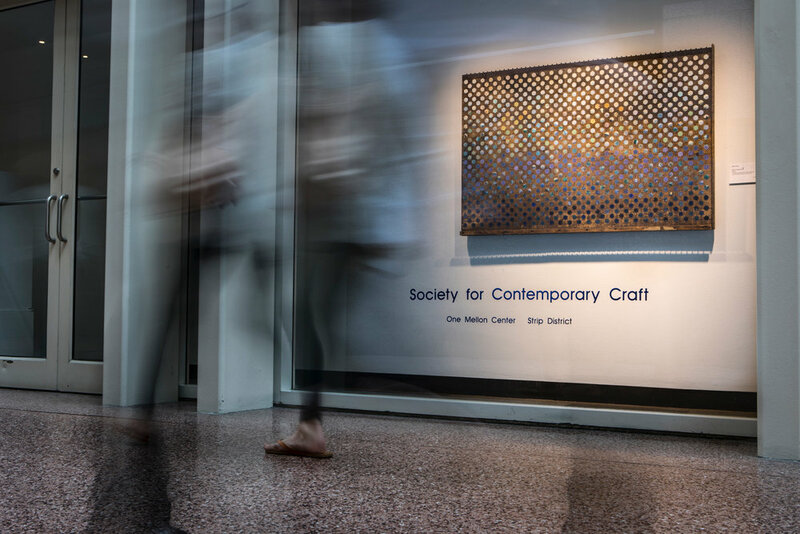 Yet the narrative of the quilt goes beyond the process to become a story about the time period in which the quilts were made, the people who made them, and the prevailing zeitgeist. The exhibition, Beyond the Bed Covers, examines how quilts and quilting have evolved beyond their cozy functionality, to be an expressive art form constructed of a variety of materials practiced by all gender forms. 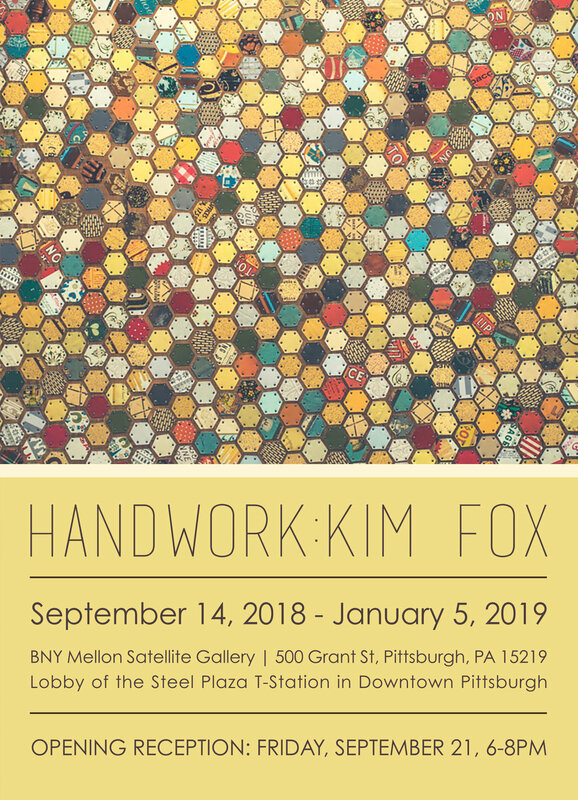 Included in this exhibit are artists whose quilts push the boundaries of materiality, personal expression and political statements. 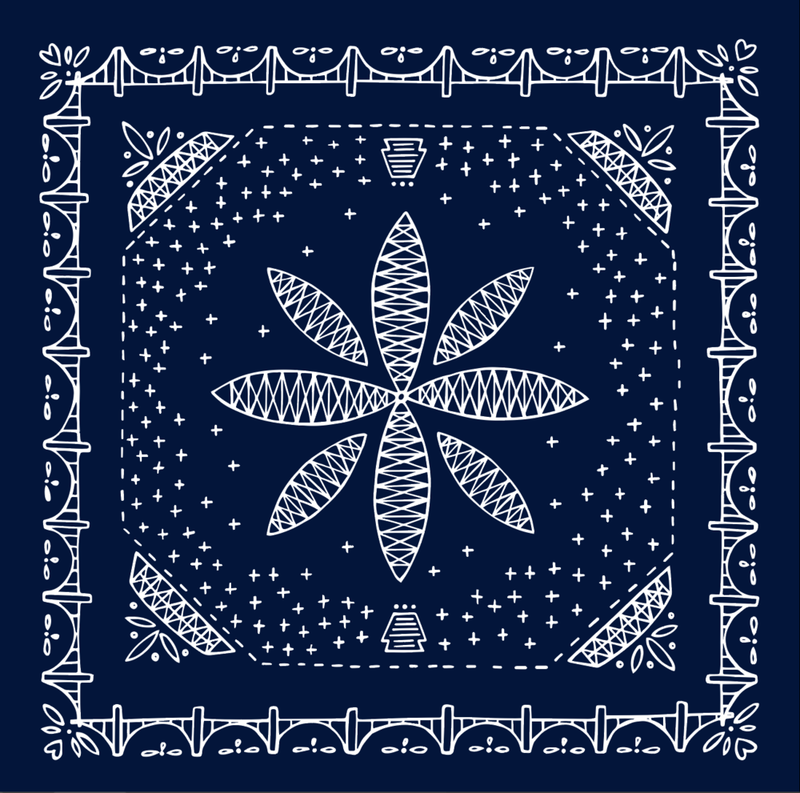 QUILT PATTERN PRIMER TEA TOWELS NOW AVAILABLE! This tea towel features some of my favorite traditional quilt pattern blocks - illustrated and screen printed on soft, white, cotton tea towels. Click on pic to purchase. CITY OF BRIDGES PRINT - NOW AVAILABLE! I have a first run of prints of my bridge art available in my shop now. They are 16" x 20" (which fit in a standard frame!) and ready to ship. Click on pic to order. CITY OF BRIDGES TEA TOWELS - NOW AVAILABLE! Without bridges, the Pittsburgh region would be a series of fragmented valleys, hillsides, river plains, and isolated communities. A recent study determined that Pittsburgh has 446 bridges, and with its proximity to three major rivers and countless hills and ravines, Pittsburgh is known as "The City of Bridges". This tea towel features twelve of my favorite bridges in Pittsburgh - illustrated and screen printed on soft, white, cotton tea towels. Click on pic to purchase. Please watch this beautiful video that my friend Matt Dayak made. It'll explain a bit of what I'm about and why I'm asking you to consider supporting my art-making through Patreon. Thank you. Handmade Arcade, founded in 2004, is Pittsburgh’s first and largest independent craft fair. Now in its thirteenth year, HA brings young, innovative crafters and progressive do-it-yourself designers to the David L. Lawrence Convention Center on December 3, 2016 to sell, their handmade, locally produced, and offbeat wares at a bustling marketplace. Crafts and Drafts is back - December 10 from 12-5:00 PM. Join us for a holiday market with gifts and art from local makers, food and treats from vendors, crafts with the Children's Museum of Pittsburgh and a free sample of our Snow Melt Winter Ale! It's free and family-friendly! As a juried arts festival, The Artists’ Market will include 60 to 80 booths featuring professional quality, original art in a variety of media. This will include 2D work, jewelry, wood, sculpture, glass, ceramics, fiber, wearables, mixed media, leather, and metal. 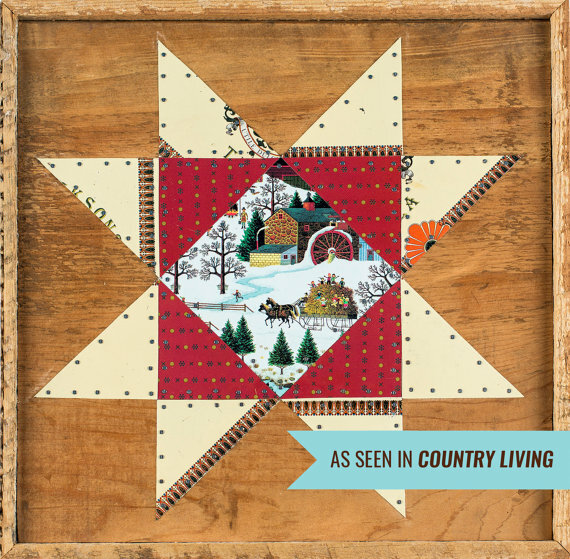 My Ohio Star Tin Quilt Block is featured in the December 2016 issue of Country Living. Fort Ligonier Days is a 3-day festival that commemorates the Battle of Fort Ligonier, a key engagement of the French and Indian War, fought on October 12, 1758. This outstanding outdoor festival is celebrating its 57th year in 2016.